I am doing a race tomorrow and went on a training run this morning. I came back very hungry and to a almost empty fridge and cupboard. What I had plenty of was stale bread and a handful of plums. Luckily there was also eggs, curd cheese and milk. Enough ingredients to make one of my childhood favourites: Vogelheu. Translated it literally means ‘bird’s hay’. 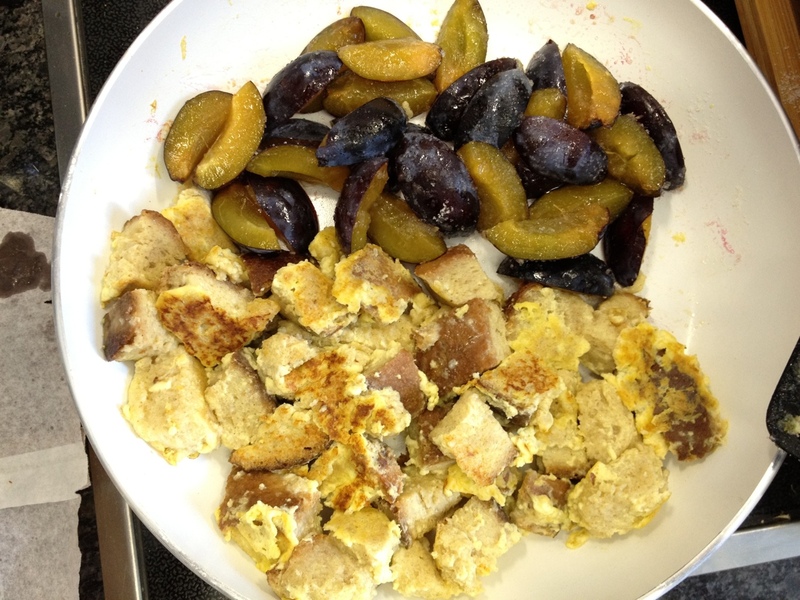 It is a messier version of french toast. First you cut a few slices of stale bread into squares. Then soak them in an egg wash consisting of eggs (I used 2), curd cheese (1 tablespoon) and milk (about 1dl). You can make sweet or savoury Vogelheu. I made a sweet version and only addeda tiny pinch of salt together with 1 tablespoon of sugar. 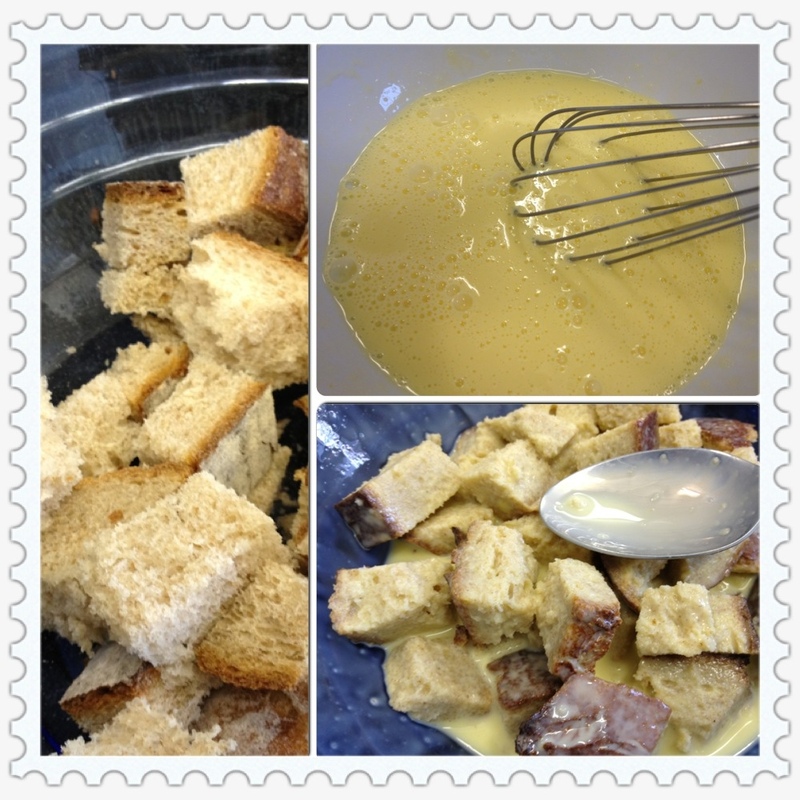 After soaking the bread in the egg wash you can fry it in a little butter. 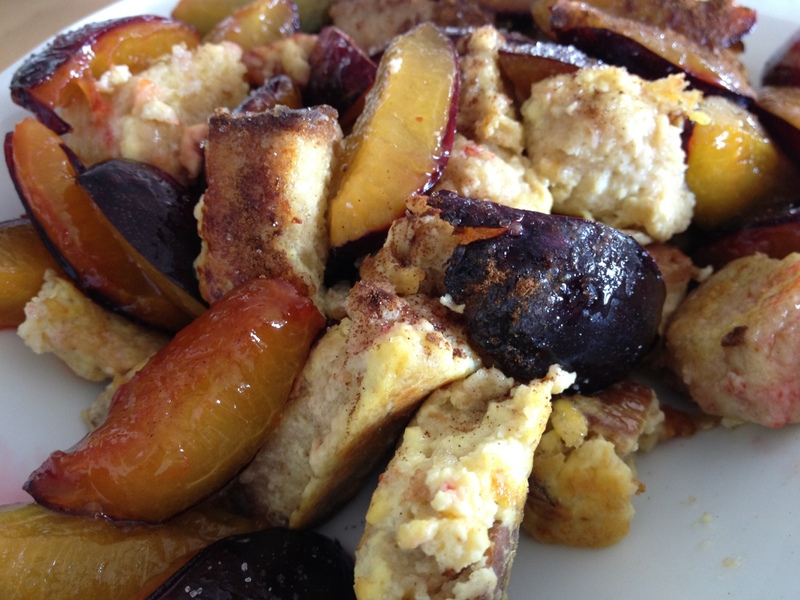 I added sliced plums to the pan and sprinkled a little sugar over them. After 10-15 minutes the Vogelheu was ready to serve.